thus making us one of the very few schools in Ireland that can cater for families. While the adult members of the family participate in our General English Course, the children will be learning English through a variety of activities under the supervision of fully qualified professionals.  In the mornings the whole family can take the ID Standard Family Course option (15h of General English) leaving everyone free in the afternoons to enjoy Bundoran Town and the Donegal Bay in their own time. It is also possible for all members of the family to be accommodated in the afternoons. All of you could take the ID English + Activities option and enjoy a full afternoon activity program. The main focus is on SPOKEN ENGLISH. THEY LEARN THROUGH group games and fun activities. *Water activities are only for those who can swim and are confident in the water.